This one was released back in march of 2015 on one of our all time favorite labels here at DECAYCAST, OUT OD BODY RECORDS. This is some of the most intense / frantic offerings I’ve heard from Mr. ARVO ZYLO of Chicago, IL. ARVO has been making experimental music in multiple genres and formats for decades and their work is always dark, unnerving, at times whimsical but always unique, and “Sequencer Works, Volume 1” is no exception. According to the label description , some of these tracks are out takes from the now underground famous “333” album Arvo released several years ago, but this work breathes it’s own breath without a doubt. The first track on side A, “Hypnochondria” is a spastic, arrhythmic exercise in sequenced chaos, starting off overloaded and blown out the track slowly gives way to more musical sections, funky freak downs, chaotic synth stabs and textured low end bass rumbles all sequenced in a choking, nervous fervor. Some of the sections are dialed in with intricate precision, as if Aphex Twin was taking stabs at post industrial music, or inversely, if Nocturnal Emissions covered Squarepusher . ARVO IS NO STRANGER to creating dark , esoteric sound collages and dense, textured scrapes and the B side of “Synthesizer Works, Volume 1” is further proof of that indeed. The B side is much more reminiscent of many of the works from the “333” album we have all grown to know and love, or even his delicately crafted, masterful, yet playfully dark radio collage exercises. The B side’s two tracks really open up the scope of sonic territory on this album. Dense, decaying percussion hits, phased out static walls of distortion and arrhythmic exercises round out the album nicely. The second Side is definitely less rhythmic and structured overall but still holds a nice tension and tight compositional choices. This album covers a wide array of noise, synthesizer music and collage techniques glued together to create the soundtrack to your nightmare stuck inside. Dying pinball machine buried under the earth. Beautifully packaged full color artwork printed on transparent j card with an underlay, as does everything on Out Of Body Records, this tape looks and sounds fantastic! Highly recommended! SONGS, and they’re good ! Voice/Sample Snippets, and wavering nauseous bass / synth lines and the bleeb of a faded radio transmission, GM, digs deep into a toolbox of esoteric sounds and obtuse strategies . As the album progresses, more vocal forward pieces shine out, notably “Slither” and “Vacant Eyes” The album Is comprised of several shorter tracks per side, most clocking in around two minutes or so, but there’s a definite and intentional flow to the whole album. 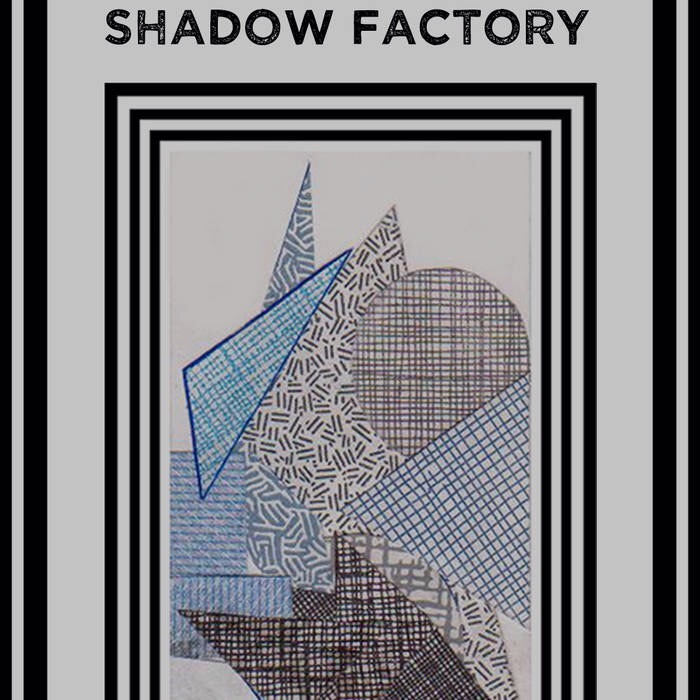 “Shadow Factory” pays its respect to early minimal Industrial, electro, and dark electronics, pulsating and wringing its own sonic neck , to a sonic palette not entirely detached from say a chopped and screwed early Nocturnal Emissions, or a sped up Pan Sonic blown out through a rickety, on its last legs tape player, or even with reference f early TG or Tuxedomoon, but in no way is pigeonholed into this style. Ghost Miner has a wide variety of timbres and aural architectures that are explored and exercised to a healthy degree through out the entirety of “Shadow Factory”. The voice is often exposed in a muddled, Dissonant lofting style, curdling in the background but always in the pocket. As a fan of heavy dark 80’s music, I’ve heard lots of post industrial vocal stylings all riffed off of Portion Control, Tuxedomoon and the like, but GM creates a dirty, in the background style of voice , moaning of agony and confusion, which is referential, yet original, distinguishable, yet mysterious, and it’s the perfect cherry on top of these funky, post industrial esoteric works on this album. highly enjoyed the cassette and will be looking forward to more from Ghost Miner in the future! 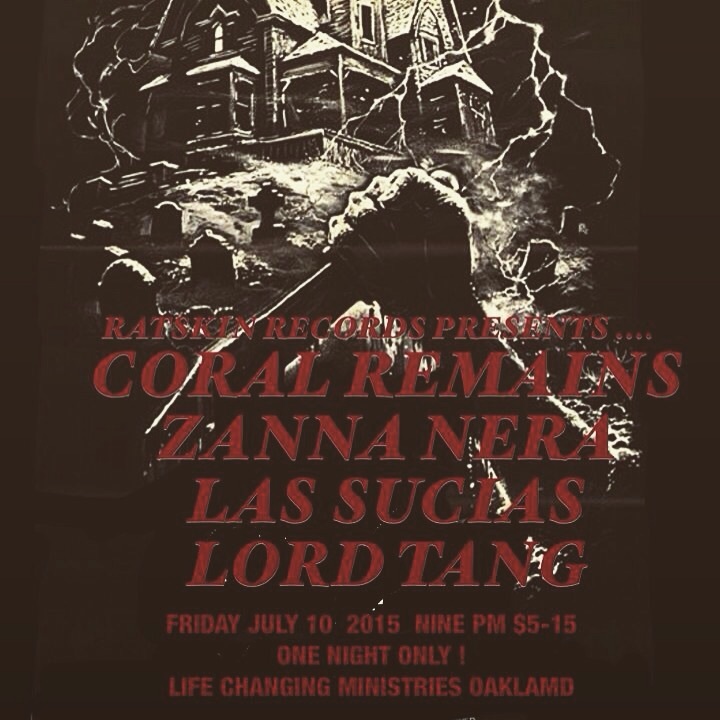 TONGHT IN OAKLAND – CRAZY INDUSTRIAL/ NOISE / EBM SHOW !!! TONIGHT.!!!! a SPECIAL EVENING OF NOISE AND INDUSTRIAL PERFORMANCE AT LCM. 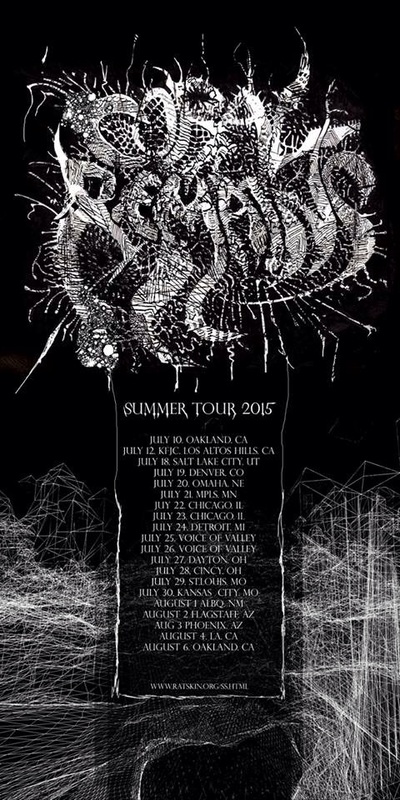 CORAL REMAINS kicks off nearly a three week US Tour! Come hang. $5-15 , no one turned away. DJ BOBBY G ON THE DECKS and maybe someone else !!! dont miss out!!!!! 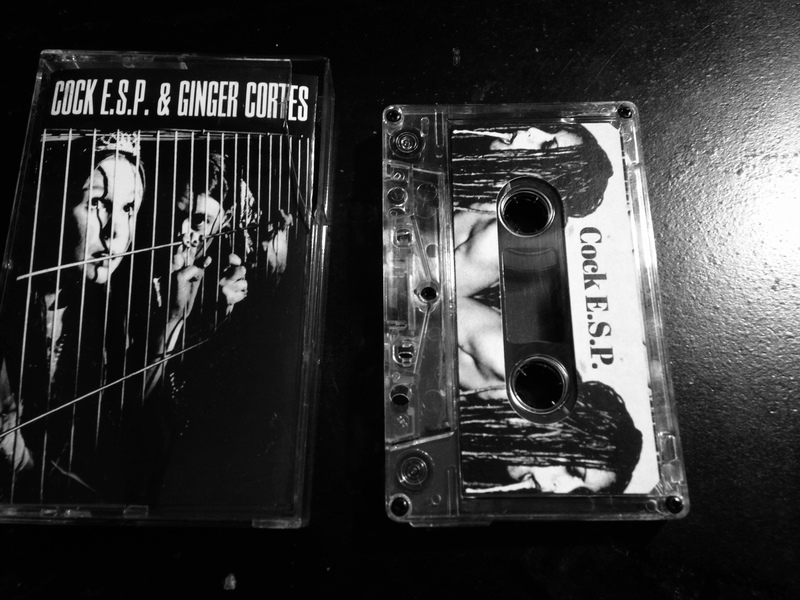 cassette DECAYCAST REVIEWS : DECAYCAST REVIEWS: BLACK LOVE “Soundtrack for Black Power” This tape has been in the review pile for a minute and the title and project name were rather intriguing, especially with the juxtaposition of the tape cove BLACK LOVE starts out with a low fi, buzzy crackling modem sound distortion. Upon reading the liner notes, we learned the sound source was STRANGE ODYSSEY, an early 80’s calculator game. The sounds themselves seem to be a strange hybrid of early digital and analog tape messiness. The piece builds up in a rhythmic, yet abstract fervor and ends just as quickly and awkwardly as it started. Black Love lays forth low fi, simple, frequency crunched and squashed textures which changes radically sound wise when played on a Walkman versus the stereo system, this noisy little tape seems to have a sound mind of its own, which references the media in a subtle but important way. source sounds are said to be various forms of tape; torn , ripped, spliced, manipulated, secure, sticky, malleable. The sound itself has little variance, yet at certain points sounds like a guitar running through a cable modem, sonically an interesting piece , but the title and project name seem quite detached from the sound source, and rather confusing. Perhaps there’s some context we are left in the dark dealing with, as this tape was part of a performance, but the title does add an amount of confusion /mystery when trying to review this tape as a whole. Black Love was a performance by David Cotner and Sergio Segovia at Redcat in LA in 2008, released on the Hertz-Liolabel. REGOSPHERE is the harsh / ambient / dark / noise project of the west coast’s Andrew Quitter / DumpsterScore Home Recordings. “VHHEX” is the first official VHS release from the project and melds the classic dark noise styling of the project which has been going strong since 2007, with a video soundtrack that fits the sound like a glove. The video portion seems to be made using a lot of VHS manipulations so the format of this release is perfect . Distant ghostly images appear and then are geometrically swallowed and manipulated by pillars of glitched lines , fragmented transmission waves and pulses of static and interference. The image and sound sync up quite well at parts and The work itself contains a certain abstract narrative quality, despite the non linearity of the images / story itself. 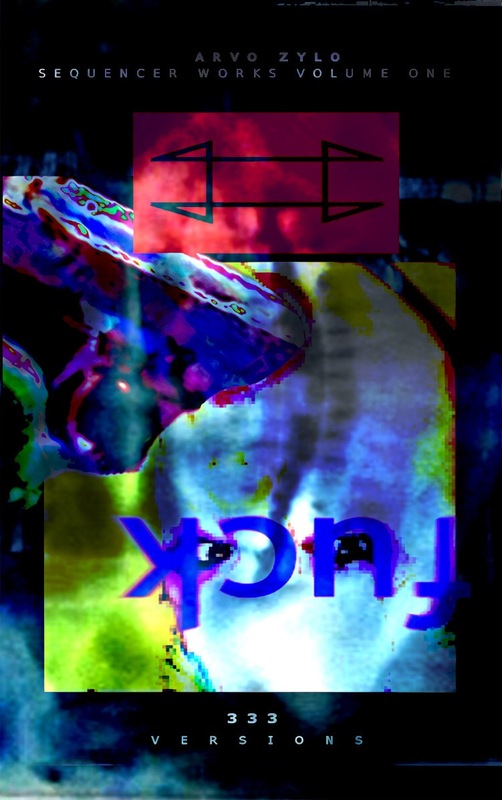 Segmented loops overlay and modify each other to create a nauseous palette of dark, anxious imagery ; death looping , fading and eating itself in a cacophonous synesthesia of sound , image and anxiety. The timbre of the sound compliments the images very well, creating a cold, dark, alienating landscape of brooding , cavernous and callous sounds, occasionally building up to intense peaks of distortion and heavy chaos whilst slowly decaying out to a low ambient rumble. 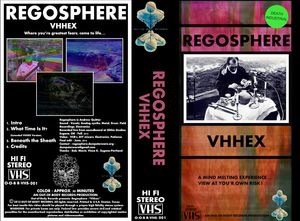 REGOSPHERE can’t really be pinned down to sticking on one “style” for the audio aspect of “VHHEX”, it blurs boundaries between dark ambient, early industrial , horror synth / soundtrack music to even at times, sputtered blasts of harsh noise. The wide , yet still articulate sonic palette of REGOSPHERE is one of this release stronger points as the sounds never drones for too long or stays in one place, nor does the video, which provides a liquid and fluent movement through the two longer pieces and even the “credits” section. The video , like the audio seems to be heavily analog based in source material as well as execution , especially in comparison to the other VHS released by Out of Body Records , by the glitch artist Somnophon , which we review HERE. Heavily manipulated VHS is the central source material for the imagery where the sound seems to possess a certain analog warmth to it as well. 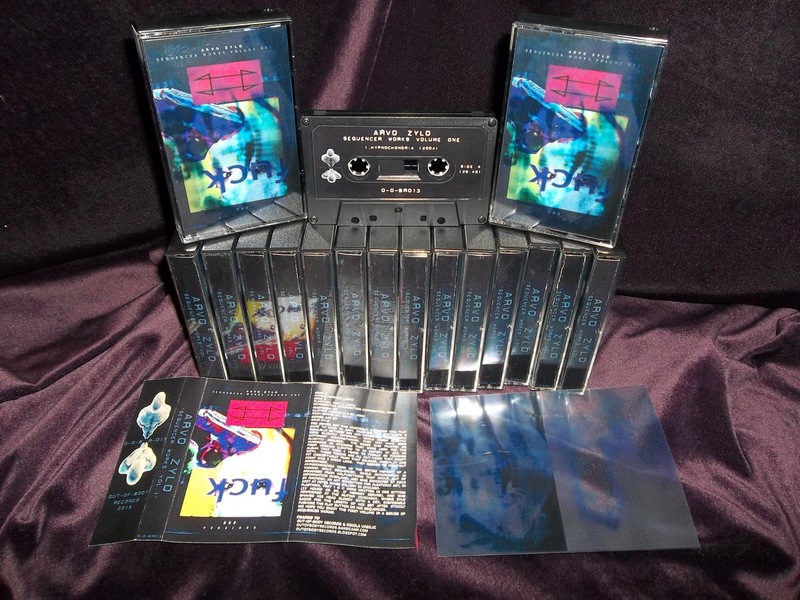 Overall this is a really strong release from Out Of Body Records, and we look forward to seeing more in the series as well as hearing more works from REGOSPHERE (which I believe we have a cassette cued up in the review pile as well so check the artists links below! The packaging is TOP NOTCH , as is pretty much every release I own on OOBR, these folks always go above and beyond on packaging / print quality and it does the artists right! This VHS. Is housed In a beautiful plastic case and made up to look like an 80’s horror movie with brilliant art direction . top of the line art and packaging! 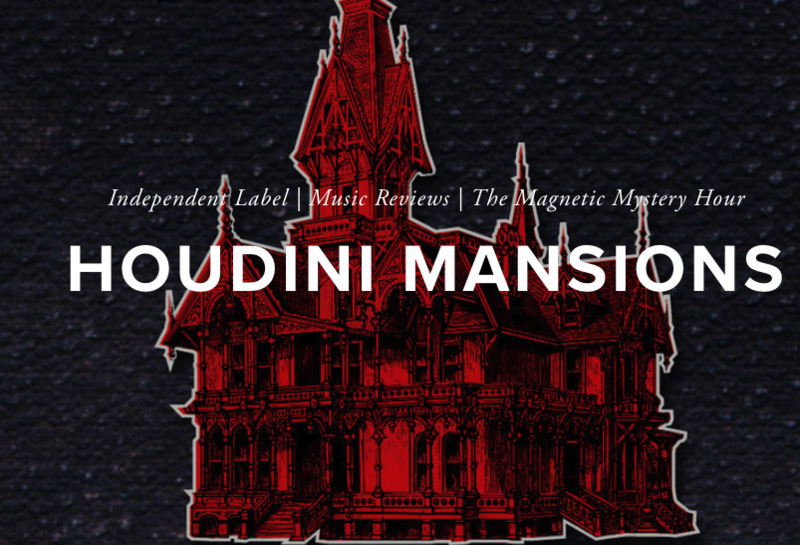 From the moment I first glanced / heard about / had suspicion of this record, I was intrigued by mystery. PHEMALE is a unique and elusive project, remaining relatively obscure and under the radar in the east coast experimental music scene , all the while slowly building up a dense meticulously crafted archive of recordings. From browsing the archives or WFMU , Phemale flexes from more traditional drone/ noise to what could be nearly considered fucked up “pop ballads”. Phemale crafts delicate collages that morph into full on structured haunting compositions. Delicate, eerie synthesizers, present but non dominating beats, soft vocals, and samples/ field recordings all mingle to create a hauntingly beautiful mix of dark ambient experimental “pop” songs. Some tracks are more collaged / sample based it appears as they take the listener on a subtle, yet articulate journey through space, time, and emotion. These are cold songs , but never wholly alienating the listener, yet keeping them in a delicate sonic balance of yearning for more information all while embracing the mystery of intention. Just when things start to get really busy, there’s a calm in the storm and were right back in the artists headspace, for better or for worse. Loss, uncertainty, and identity politics all seem to play a role in the mood and concept of this record with really interesting and unique results. This record is all over the place, in the best possible way, taking outward journeys both with it’s structure and intent, yet always resolving to a plane of solid ground where the listener can regain their bearings and then venturing back out into uncertain terrain, all the better. A loop, inside ones brain , tucked away behind the mask of self progress. From finely tuned minimal sound collage to lushly dark but warm pop slings . 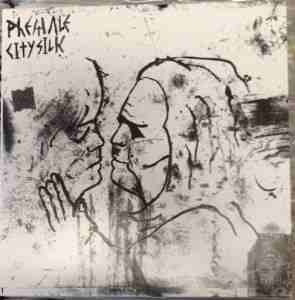 “City Silk” DEFINATLEY references early 80s industrial synth pop , but in a highly refreshing and unique way, which soars above and beyond many others dabbling in those genres these days. Phemales sounds are as dark, elusive and under the radar as he is. So don’t sleep on this , or it might just vanish . A beautiful layout and the record comes with a cutout mask! Can’t beat it .